You love food and cooking, but perhaps the repetitive confines of a tiny steakhouse kitchen don’t exactly ignite your culinary passion. 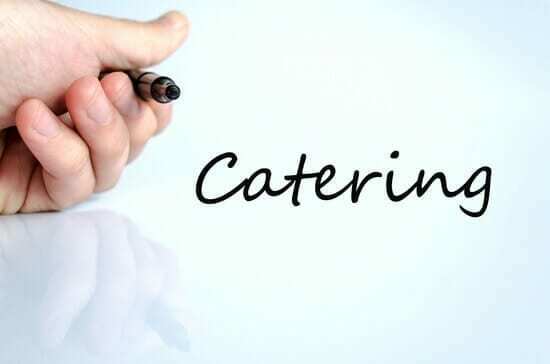 Have you considered starting a catering business in the UK? Catering is a booming business in Great Britain. And in fact, the government calls the industry one of the largest employers of young people nationwide. There’s no question this is a valuable career path for many foodies, but is it for you? As with any career choice, you want to look at the upsides and downsides before committing to a food service venture. You get to be your own boss and dictate the type of food you prepare. The constant change of scenery is ideal for those who become bored being stuck in the same kitchen each night. There are ample catering degrees and training opportunities available in the UK to help you learn the specifics of this type of business. The robust industry means a wide variety of clientele options, from small private affairs to huge conventions. The catering field in Great Britain is highly competitive. Which means you’ll need to have a fair bit of marketing knowledge and cost-control skill. Consumers’ tastes are becoming more and more developed, due to the ever-expanding selection of sophisticated food types available. As well as media exposure of cooking techniques. Creativity is key for success. Caterers typically have limited personal social time, due to the nature of the long, unconventional work hours. This career choice requires excellent organisational and diplomacy skills. Caterers, particularly those with large operations, must be effective managers as well as food experts. The job encompasses a variety of aspects which require not only people skills but the ability to multitask. In addition, food service business in the UK must register with the local Environmental Health Service (EHS). This must be done a minimum of 28 days prior to opening, even if running the operation out of your home kitchen. If you plan to deal with alcohol, sell hot food or drinks between the hours of 11 pm and 5 am, or sell your food from a mobile unit or street stall, you will need permission from your local licensing authority. Opening and starting a catering business in the UK also means you will need to handle staff issues. These may include recruitment, training in hygiene and food safety procedures, payroll, leave, and discipline. If your business is sizeable enough to employ a large staff, you may want to hire a supervisor to handle some of these duties. There’s no way around it, any business needs funding. Between equipment and facilities, starting up could cost as much as £50,000. You will need a minimum of two ovens, a commercial microwave, a commercial refrigerator/freezer, quality pots, pans, and knives, as well as crockery, china, and glassware. Starting with your own home kitchen can save some money. Although you can expect to make at least some outlay to make required changes in order to comply with hygiene and food safety laws. While a catering service can yield a respectable living for a skilled individual. And starting a catering business in the UK can be rewarding. It’s one career you should go into because of a passion for working with food and people.